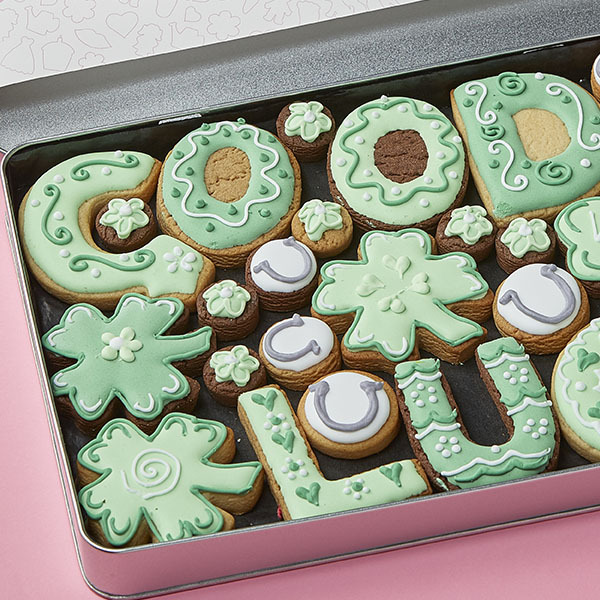 Our Large Gift Tin contains hand decorated cookies spelling GOOD LUCK with shamrock cookies and horse shoe cookies to fill the box. 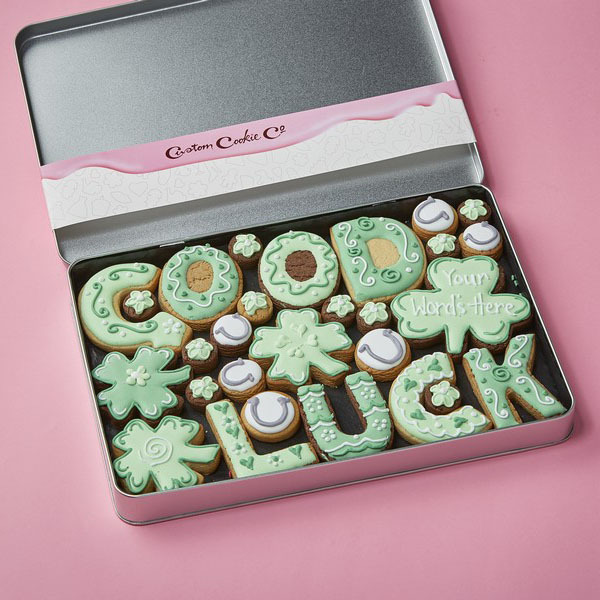 One of the cookies can be personalised with up to 3 words and the gift tin includes a ribboned gift tag bearing your special message. 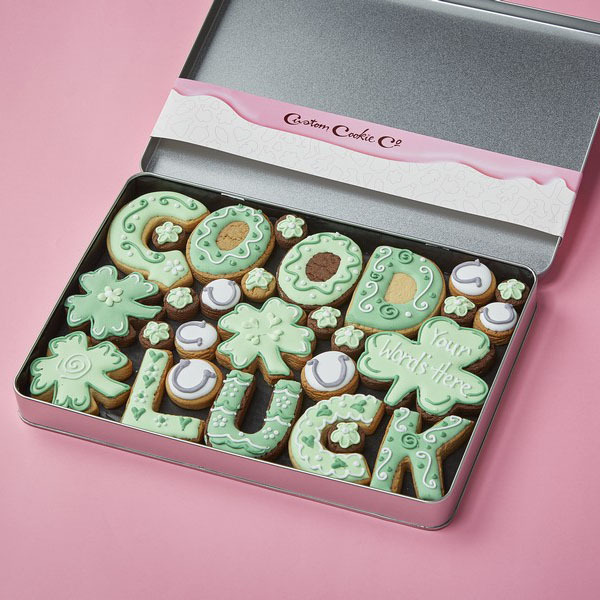 Perfect to give as a gift to a loved one or colleague who is embarking on a new adventure. Thank you for the excellent cookies, everyone was really happy with the way they looked and we got some lovely comments back from our client.